Today I had to visit the bank in Cortona, and used the opportunity to photograph some of the town’s many chimneys. The sky was looking threatening and added a dramatic backdrop to the images, luckily for me, I got back to the car before the heavy downpour started. 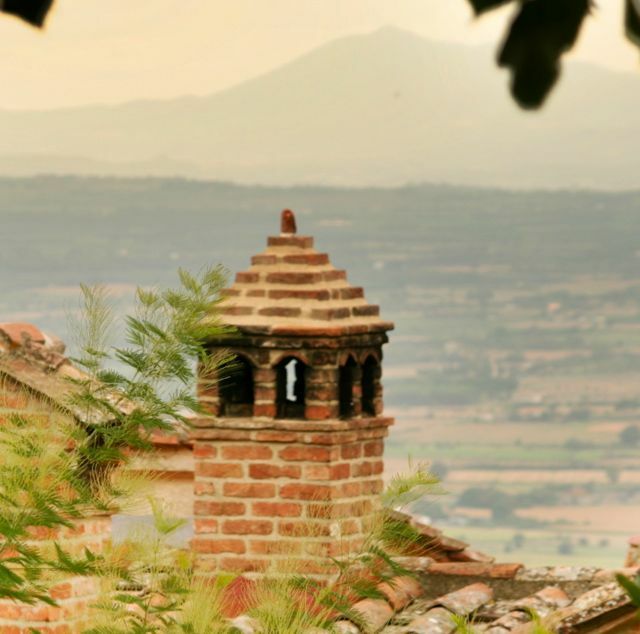 Every builder in Tuscany seems to have their own signature chimney, when you visit a Tuscan town it’s worth looking up at the roofs to check out the different styles.